"Very Practical. System for Better Conversation and Deep Rapport with Women"
Fixes biggest 'conversation skills' problems well, simple formula for creating 'chemistry' with a woman, practical exercises to aid implementation, fixes common issue that men have with getting 'Mystery Method' style game to work. Noticeable lack of preparation and 'polish' to the product, more examples and guidance on how to connect everything together would have been useful. This is a solid conversation skills program that solves the very common "not knowing what to say" problem and gives you a clear path to create great chemistry with women. It's the best conversation skills program we have found to date. Note: You can get this course cheaper if you purchase it with Jon Sinn's other course the "Effortless Conversation System". If you purchase this as the upgrade option you are given to The Effortless Conversation System you get both courses for a lower price than this course on its own. The name of this course is a little misleading. First, it's a course that teaches you about conversation skills taking you from the basic principles and foundations though to building rapport and chemistry with women. So it's really a much broader course that covers on 'conversation skills with women' including the material on creating chemistry (deep rapport), which is more on the advanced side. Second, you can put the "5 minutes" to the side. This program (or any program for that matter) isn't going to assure that you create chemistry with a woman within 5 minutes. In some situations it's possible - yes, but in other situations, and probably most, it takes more time. So don't get too focused on the product's title. Having said that, it's a solid beginner to advanced conversation skills course. It comes in three parts, covering how conversation and chemistry works in the first part, giving you conversation tools in the second part, and pulling it together for you to implement practically in the third part. The first part contains some innovative material and insights into meeting and attracting women. The role that good conversation skills play in meeting and attracting women is explained with details such as how they contribute to social dynamics, attracting women, 'getting along' with people and building deeper rapport. This may sound like simple stuff, but most men will definitely take away a new perspective on making conversation and the larger role it plays in "the game". An interesting point to note is that Sinn makes a point of modifying teachings you may have learned from Mystery Method here (Note: Jon Sinn was first trained under Mystery (Erik von Markovik) with this system). If you've read or used Mystery Method you'll find that Sinn's approach naturalizes parts of Mystery Method that are a bit mechanical and potentially awkward - especially when starting conversations with women. Mystery Method places a lot of emphasis on conversation pieces that attract women, and this is really where Sinn brings some good value explaining how this can 'sabotage your results' and there are steps in meeting women when you really need to just use normal conversation skills. This is actually a very common problem for men who have learned a Mystery Method style dating system. Sinn addresses the problem here in a clear and more common sense way than I've seen before. Good job. What is Deep Rapport/ Chemistry? Deep rapport is what you have with your best friend or a buddy you can joke around with and be yourself. Or that great girlfriend that you got along with so well that she was also like a buddy. It's something that you have with someone when you share outlooks on life and translates to you being able to relate to each other easily. It's like the oil that makes good conversations flow effortlessly. 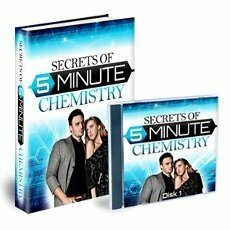 In this course, you are given the structure of 'having chemistry' with another person in a simple formula. Jon Sinn has done a good job of demystifying the essentials with the formula and keeping it uncluttered. By remembering a few points and putting a little effort into preparation, any guy would be able to put this into practice. It's not complicated and does the job. That's a combination we like to see because it helps you get results easier. I've seen other systems dance around the subject of chemistry and deep rapport previously, but never in much detail and certainly not with a clear practical approach to implementation. They tend to give you a broad overview and leave you to figure it out with details yourself. Not great for helping someone to implement it. Thankfully, that's not the case here. With a solid definition and structure to use to build chemistry or 'deep rapport' with women it is finally made easy to actually put into practice for you. Tackles and Puts an End to "Running Out of Things to Say"
Running out of things to say when they're talking to women has to be one of the biggest complaints from men where it comes to dating. So it's really on point that the whole of the second part of this course is dedicated to helping men overcome the issue. To help you with this Jon Sinn runs you through the causes of 'running out of things to say', and then gives you a set of tools to fix them. The causes are clearly laid out and will make it clear to you why you have the problem. An interesting point Sinn covers is the unrealistic expectations most men have around what and how much they need to do in terms of conversation to attract and seduce women. I liked this because it cuts through some of the hype you see with some dating systems, showing you how simple and 'less complicated' it really NEEDS to be if you want results. This will set you straight giving you the reality of how much you really need to do to attract and engage a woman with conversation - and you will probably be pleasantly surprised. The tools include some things you may have heard of such as 'transitions' and how they should be used. Sinn breaks transitions down into several tools to make these easier to implement - and highlights where they should be used. The remaining toolset includes some tricks to keep your conversation going, important preparation points, and the foundations of what will make it easy for you to keep talking (in a useful way). Overall there is a lot of simple to implement information in this section - which is just what you need if you are having problems keeping the conversation going. Less complexity, more effective action. Throughout and in timely fashion you are given exercises to put what you are learning to work for you personally. You need to do these to get the value form this course... unlike previous 'storytelling' or 'routine' courses it has to be said that these exercises are pretty short. This is because the focus is just on getting the job done without having to clutter your head with too much. Afterwards you'll probably think, wow, that wasn't really rocket science. Why it may not sound exciting, it's a good thing and you'll like the results easier implementation will bring for you. In part 3 there is also the beginnings of a template of how to put everything together with clarity. This part, however, wasn't followed through so well. Part 3 gets sidetracked into teaching you more about chemistry and giving you examples - useful stuff, but… the course would have also benefited from that structure at the end. That would have left you less to think about. As it is, you'll probably have to put some thought into the bigger picture of where you're taking conversations yourself to get the best results. Weaker on Preparation and "Product Polish"
This program was produced as an audio program originally and then transcribed into ebook so you have both. I didn't realize this at first and read the ebook for this review. As a result, I found myself wondering why it was quite 'laid back' and there was unnecessary conversation added in to the advice. The ebook does come across as a bit overly casual and unprepared in places where I felt it should've given specific examples. It doesn't take advantage of the ebook format to provide more detail and specifics as ebooks typically do vs. audio programs because they have been edited. Keep this in mind if you prefer to read rather than listen to the program. Still, even for an audio program, there are parts that come across as under prepared and some 'oops' that could have been edited out where he says the wrong thing and backtracks. Examples of lack of preparation are where he makes outside references but isn't sure if he's attributing them to the right person, relating commonly held scientific beliefs that have no real grounds and making up a routine on the spot rather than taking specific examples that he has used in field. In short: It's clear that Jon recorded this course 'on the fly' based primarily on his experience, and the quality would've been improved if he'd put more effort into preparing the course. Having said this, what is lacking in preparation and research, is made up for with advice that is clearly grounded in a lot of experience. The 'unprepared' parts are for the most part the least important and you're not losing much, just the 'professional polish' feel really. This product gives you a solid system for making conversation with women. For those of you with the issue of "not knowing what to say" sometimes, or not getting women engaged in conversations, or relying too much on 'attraction techniques' to keep her engaged, this program will be a great fit for you. And it does it with a collection of pretty simple tactics that you'll be able to put into action easily. Solid. Read the review of "Effortless Conversation System" for more information on this deal.